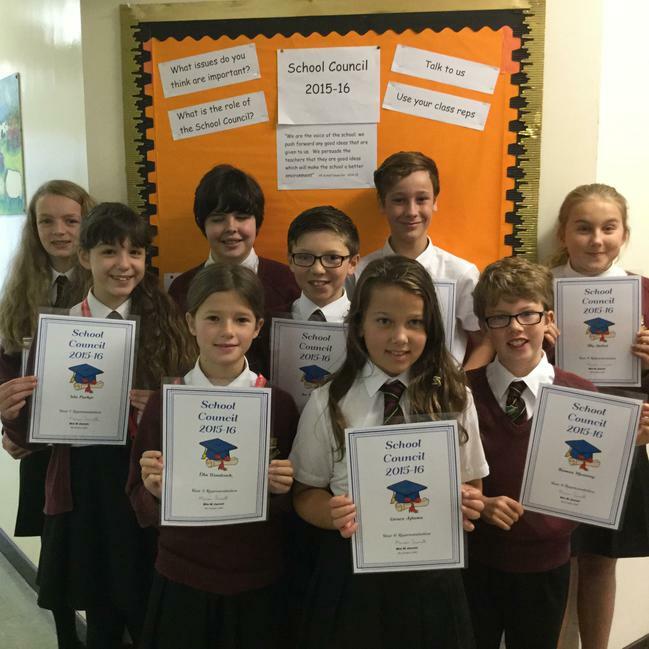 Recruitment to the 2015-16 Hugh Sexey School Council is now complete. Following on from class and year group elections in years 5 and 6, two pupils from each year were elected to represent their peers. Pupils in years 7 and 8 had to apply for consideration for the role of school councillor - the first time we have tried a system of applications. Mrs Jarrett was very impressed, not only by the quality of the applications but by the maturity and enthusiasm of everyone who applied. After interviewing all the candidates, Mrs Jarrett selected four year 8 pupils and two from year 7 to represent their year groups. 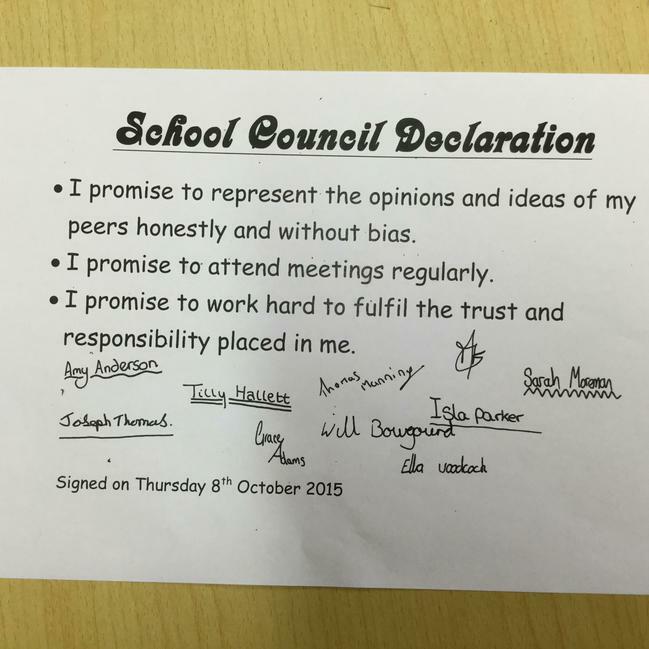 At the first meeting, on Thursday 8th October, Mrs Jarrett asked each councillor to sign a declaration, showing their commitment to the role and then presented them each with a certificate and a badge. (Unfortunately, due to a late running bus, one councillor missed out on the photo). Mrs Jarrett is very much looking forward to working with the School Council and helping the pupils to make their experience at Hugh Sexey the best it can be.